Black History Month, aside from being a major part of History it is also a major influence on sneaker culture as of late. The last few years we've seen some great color ways on Nike shoes. 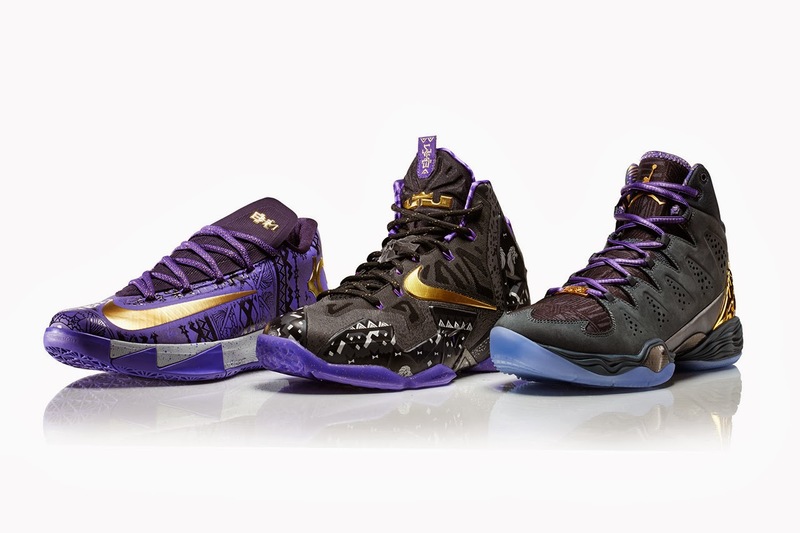 Players such as Kobe Bryant, LeBron James and Kevin Durant have seen their signature shoes get the "BHM" treatment. I'm a bit disappointed that this year we see no Kobe model but I'm sure there's a good reason for that. We do however see the likes of KD, LBJ and Carmelo Anthony get their shoe in the 2014 "BHM" color way. I wasn't a big fan of any of Melo's shoes except for a few Jordan PE's and his Melo 1.5's but these new M10's are really nice. I may consider these for my collection or even maybe for basketball. Anyway, for more on the collection please head on over to Nikebasketball.com.